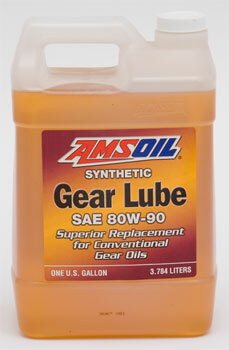 AMSOIL 80W-90 SYNTHETIC GEAR LUBE is compatible with most limited slip differentials. If limited slip differential chatter occurs, add AMSOIL Slip-Lock™ friction modifier additive. AMSOIL Severe Gear® 75W-90 (SVG), 75W-110 (SVT) and 75W-140 (SVO) synthetic gear lubes have a performance emphasis on the extreme pressure and high heat of today’s vehicle differentials.